We gave up on those stupid little battery-operated sit-on-top spinning tin openers. 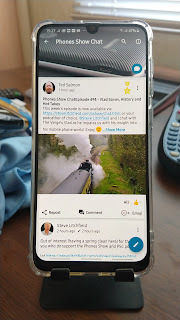 We tried a few of them and after initial positive thoughts (see https://goo.gl/wULkxp) - or using them so infrequently these days so they're bound to last forever(!) - they all seem to give up, stop fitting properly, stop working properly or just breaking! So instead, we went back to plug-in electric! Kenwood has seemed to be a pretty good name for white goods over the years, so this one, though not as cheap as some others, seems to do the job perfectly once the technique of settling the tin in the right place is mastered. You lift up the lever, make sure the edge is under the knurly-wheel, put the lever back down and press. 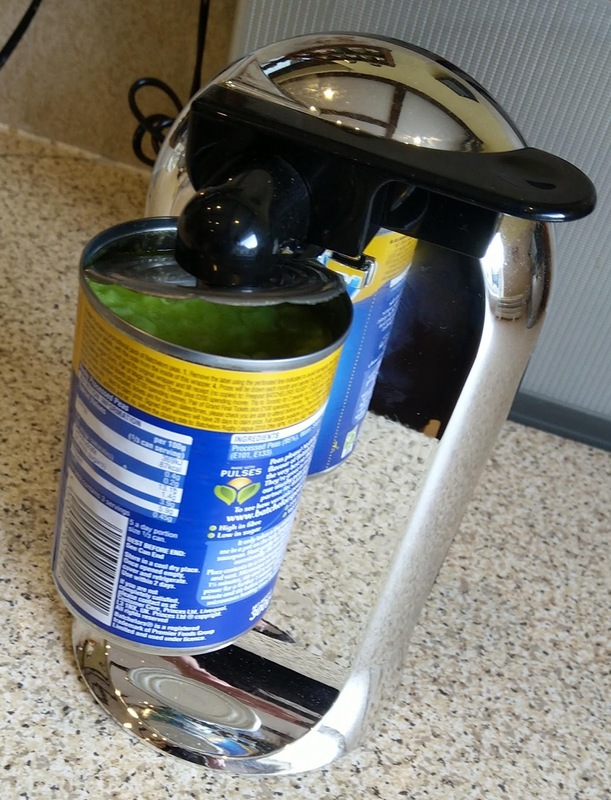 The magnet in the arm holds the lid when it becomes separated after cutting and the machine also holds on to the tin and can be manually removed whilst lifting the lever. It's also a knife sharpener, round the back - seems to work in the two different sized slots - and on the front there's a bottle lid remover which is manual, like most other bottle-top removers! The unit is pretty light though, so hold onto it whilst levering off your bottle lid! Aye - mushy peas, Granville!